Despite the trees being fully leafed out now, and the mass emergence of the Black Flies and Mosquitos, we still managed 96 species on Wednesday morning between 6am and noon. Over 20 folks traversed the Bog with leaders Sparky and Clinton taking folks on different routes. Highlights included EVERYONE getting great binocular, and scope views(! ), of a CONNECTICUT WARBLER. 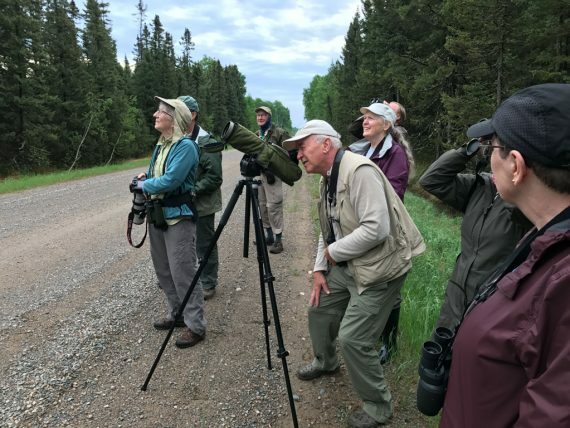 This was after Sparky told the group that their odds were slim of getting a look at this secretive warbler. It’s good to be wrong sometimes! 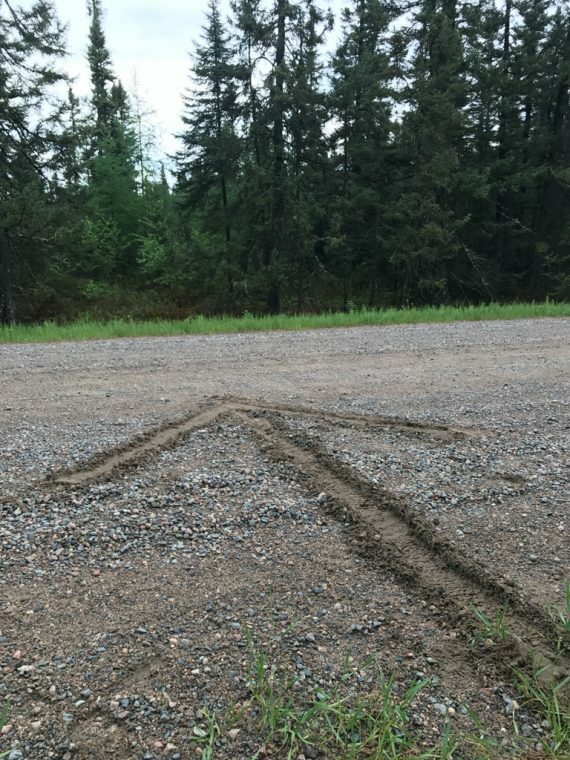 Sparky marked the location with a giant arrow scratched into the road so Clinton’s group could relocate it. It was a lifer for 8 folks in Sparky’s group, and several more in Clinton’s group. Other HIGHLIGHTS included scope views of Golden-winged Warbler, Blackburnian Warbler, LeConte’s Sparrow, and Sedge Wren; 19 species of warblers total; Watching several hummingbirds frantically feeding on Indian Paintbrush; Merlin; Hearing a BOREAL CHICKADEE (rarely seen or heard in late May); Several flocks of Red Crossbills (probably family groups); and a GREAT GRAY OWL that six folks got a great but brief look at but didn’t stick around. Thanks to all for a great season! Thanks to guides Clinton Nienhaus, Sparky Stensaas and John Richardson. We will again have Warbler Wednesday in 2019 (last 3 Wednesdays in May) as well as Waffles & Warblers on one of those weekends. Please visit www.saxzim.org for more upcoming field trips and programs including the August 4 Bog BioBlitz. 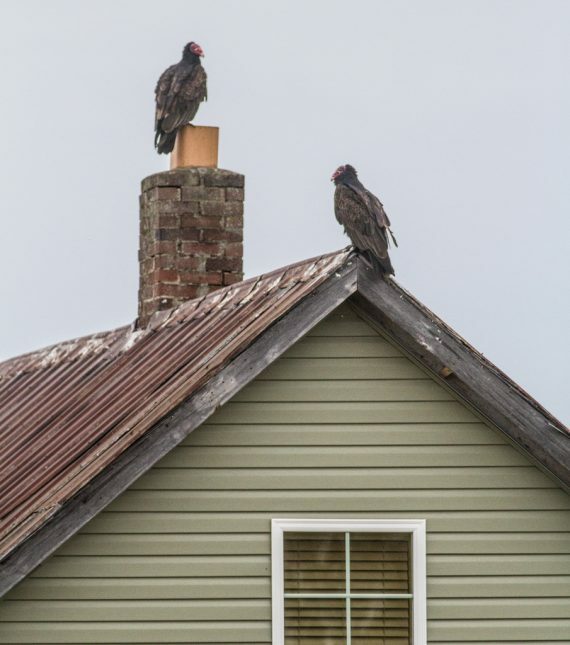 Turkey Vultures ruling the roost along McDavitt Road. 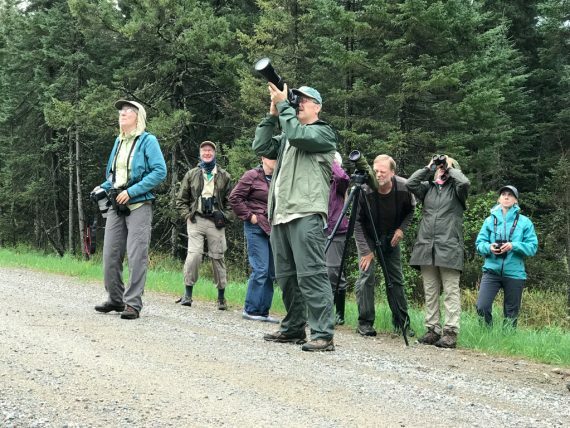 The cooperative Connecticut Warbler was a lifer for 8 folks in Sparky’s group plus a bunch more in Clinton’s group. Arrow marks the Connecticut Warbler spot so Clinton’s group could relocate the cooperative bird….And they did!